Hidden deep within the forest lies the magical Smurf village where you can find all of your favorite Smurfs! 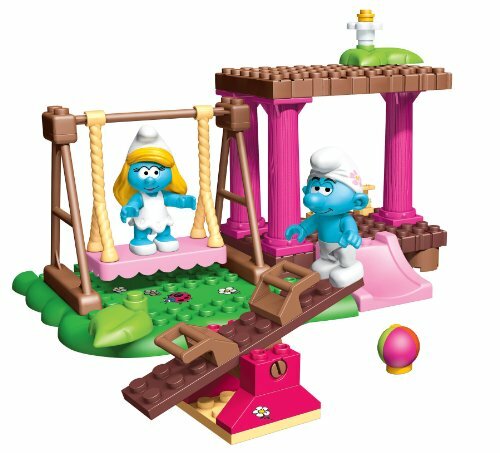 Vanity Smurf and Smurfette take turns on the swing, then slide down to play ball or ride the seesaw till the sun hides behind the trees. 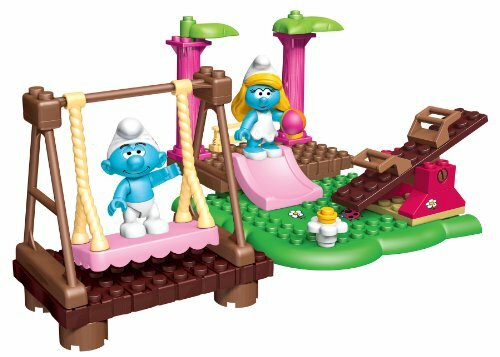 Build and rebuild the Smurf Playground by Mega Bloks and join in on the fun with all your Smurf friends. 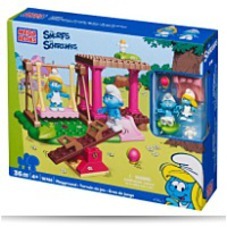 Features:Build and rebuild the Smurf Playground with Smurfette and Vanity Smurf Includes green building plate and flowery decorations for easy and secure developing Includes colourful ball, swing, slide, pillars, fence and seesaw Fun on its personal or combine with other Smurf characters and playsets by Mega Bloks. Dimensions: Height: 8" Length: 10" Depth: 2.5"
Package Dim. : Height: 2.52" Length: 10.08" Width: 7.95"